We take your ideas and turn them into real products. 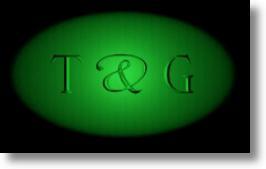 General Invention Services,Design, Prototyping, Research, Manufacturing. V engineering services LLC provides quality services in mechanical design , drafting and prototyping. We offer discounted rates for inventors from InventoSpot.com. 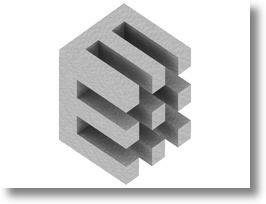 Welcome to eLine Design the Internets first site developed to provide FREE Custom 3D CAD Designs! These personalized 3D Models can be used for Specialized Graphics such as Logos, Profile Images, Avatars, and are Great for Web Designers and Web Masters. My mission is to help inventors, entrepreneurs, and everyday people with ideas. Suburban Artworks offers inventors and product designers the latest in 3D DIGITAL VISUALIZATION TECHNOLOGY. We create photo realistic virtual prototypes that clarify and communicate ideas in the most effective manner to manufacturers and potential manufacturers. Eden CAD is a U.S. company speacializing in developing the highest quality products at the most reasonable manufacturing costs. Eden CAD leads the way in product development from product conception, perfection, prototyping, manufacturing analysis and optimization, and even manufacturing management. Ilya Abdurakhmanov Design Studio - Elushkas Inc. I work with individuals and companies to help bring products from idea to reality. Our Experience and Expertise: Turning Your Ideas Into Reality! Impulse Design & Engineering LLC is a product development and prototyping firm. About 90% of our clients are professional businesses. We turn concepts into prototypes and CAD data, giving you the tools to approach retailers and manufacturers. Please check out our website and give us a call. We are a multidiscipline CAD Drafting and Design firm that can take your idea and put it to paper. 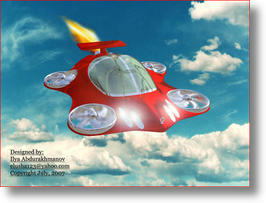 You need good drawings of your inventions for patents and for presenting them to investors or manufactures. We can do this for you at reasonable rates. We also do photo realistic 3D renderings that allow you to see exactly what your invention would look like. Product Development, Prototype help, CAD Design, Injection Molding, CNC machining. Company has been helping inventors for over 10 years. We have experienced industrial designer team plus plenty of facilities to turn your idea to prototype till products. Providing Rapid Prototyping services, the process of creating prototypes from computer generated CAD drawings and producing a physical part. Prototypes are great for testing or demonstrating desings and can be produced in as little as 24 hours. Online Quotes available. T2 Design & Prototyping can help you create consumer products from your invention ideas. Based in Los Angeles, California, T2 Design has successfully helped inventors with product design and development, prototypes, patent searching and manufacturing. 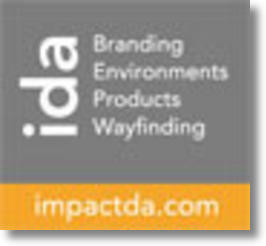 IDA is a multi-disclpline design firm located in Venice, CA. Along with many years experience with Market Entry products and entrepreneurs, we are tuned in to the special needs required when developing brand recognition. We are full-service design studio and can handle all aspects of your design efforts.